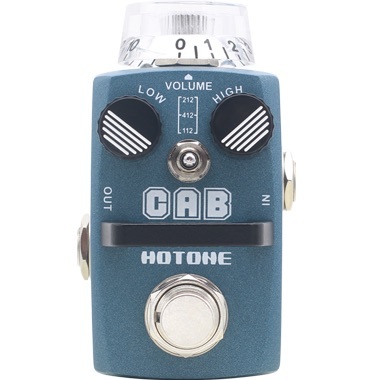 Hotone have added a new pedal to their Skyline range. Cab is a smart way of getting that big cabinet sound, without carrying around the big cabinet (or three in this case). Cab can be switched between a 1x12, 2x12 or 4x12 simulation and the results are pretty impressive. The video below gives you an idea of how diverse the three settings are.